Stress is unavoidable, and to be honest, it’s not always a bad thing. Stress plays an important role in creativity, motivation, and our survival instincts. However, stress can be extremely harmful when it becomes overwhelming. Unfortunately, overwhelmingly stressed has become the norm for many people. Stressed out people suffer from low energy or exhaustion, aches and pains, racing thoughts, sleeplessness, indecision, impatience, and fear. These are just a small handful of symptoms; there are much more. I know I’ve experienced some of these symptoms myself; do any of them sound familiar to you? The good news is that we have the ability to impact how we respond to stress and to minimize its effects on our bodies and minds. 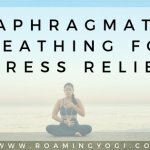 Yoga for stress relief to the rescue! 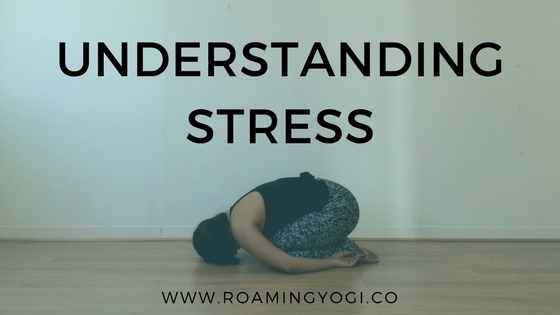 The first step to minimizing the effects of stress is to understand what, exactly, stress is. So let’s get into it. Stress is the body’s instant and automatic reaction to a change that requires a physical, mental or emotional adjustment or response. This, in and of itself, is not a bad thing. We experience stress whenever we feel vulnerable or threatened. So being physically under attack or in danger is clearly stressful (chased by a bear, floods, fires, etc.). Going through life adjustments, daily responsibilities, and changes can also trigger unwanted stress, whether we perceive those changes as positive or negative. For example, changes, like getting a promotion, going on vacation, or getting married, can trigger stress, even though these are generally positive things. We can break stress down into two categories: Acute stress (short-term), and chronic stress (long-term). Acute stress is an immediate reaction to something you’re presented with (a stressor). This is the “in the moment” feeling you get when you’re running late for a meeting, you’re startled by a sudden noise, or you engage in political debate on the internet (we’ve all been there). Chronic stress is characterized by its long-term nature; this is the bad stuff. This is the type of stress that you feel constantly, every day, with no reprieve from the things that make you feel stressed. It can either spring up from a short-term stress that stuck with you, or a constant state of stress that you’re under due to persistent stressors or conditions. Most chronic stressors are situations, like hating your job and having to go in every day, being there all day, and thinking about how much you hate it after you’ve gone home. Financial insecurity is another common source of chronic stress. These types of chronic stress situations are the most dangerous because they keep your body’s defenses activated and heightened longer than is healthy. Unfortunately, more and more of us are living under constant stress-inducing conditions. To make matters worse, we don’t exactly learn how to cope with stress in school, so we turn to things like watching TV, scrolling social media, binge-eating, and addictive behaviors. These things don’t help to relieve the stress response and in most cases, make it worse. Stressful situations have a profound impact on our bodies in addition to our minds and emotions. To understand why it’s unhealthy to live under constant stress, we have to understand what happens in the body when we experience stress. When the fight or flight response activates, your system is immediately and involuntarily flooded with stress hormones like adrenaline and cortisol. These hormones enable you to run faster, fight harder, see more clearly and breathe more easily than you normally would. They also stop your digestive processes entirely (among other functions that are not essential for survival), so that your body doesn’t waste any energy processing food when it needs all its energy to survive. The body’s fight or flight response is designed to handle acute stress, not chronic stress. It’s meant to keep us on high alert while we deal with danger or obstacles. If your body’s fight or flight response is turned on all the time, then you’re constantly flooding your system with those stress hormones. these are only meant to be in our systems for a short period. If these hormones stay in your system for too long, they can eventually lead to increased heart rate, high blood pressure, stroke risk, ulcers and other gastrointestinal issues, a suppressed immune system, exhaustion, and sexual issues. These are just some of the possible outcomes; there are many more where those came from and trust me, you want nothing to do with any of them. What’s crazy is a lot of these symptoms don’t seem like stress symptoms (forgetfulness? I thought I was just forgetful! ); stress is a sneaky culprit that’s responsible for a lot of suffering and often we don’t even know it. If you’re struggling with any of these symptoms, I totally feel you and I’ve got your back. Keep reading. The human body is incredibly resilient and when given the chance, it will always strive to find balance. It’s balancing mechanism for the fight or flight response is the rest and digest response – the parasympathetic nervous system. The fight or flight and rest and digest responses work together to keep us in equilibrium. The rest and digest response stops the fight or flight response and its heightened state of readiness. This allows the body and mind to return to a state of balance. The rest and digest response signals to the body that stress is over. This initiates the relaxation response, which allows hormone levels to return to normal once a perceived threat has passed. As adrenaline and cortisol levels drop, heart rate and blood pressure return to normal levels. Other systems, like digestion, resume their regular activities as well. Bear with me for just a liiiitle more anatomy! Both the sympathetic nervous system (fight or flight) and the parasympathetic nervous system (rest and digest) are part of the Autonomic Nervous System (ANS). The ANS connects the brain with various organs like the heart, the stomach, and the intestines. The ANS operates involuntarily and reflexively, controlling things like breathing, blood pressure, digestion, and heart rate. All functions that happen automatically, without our controlling them. Breathing is the only function of the ANS that we can consciously control. And therein lies the key. Breathing properly activates the parasympathetic nervous system (rest and digest), which calms the sympathetic nervous system (fight or flight). By starting to breathe slowly, you signal your brain to relax; the release of adrenaline and cortisol sows and the release of endorphins increases (the feel-good chemicals that are also released when you work out). You will also fully oxygenate your brain and body, allowing your heartbeat to slow and your blood pressure to stabilize. 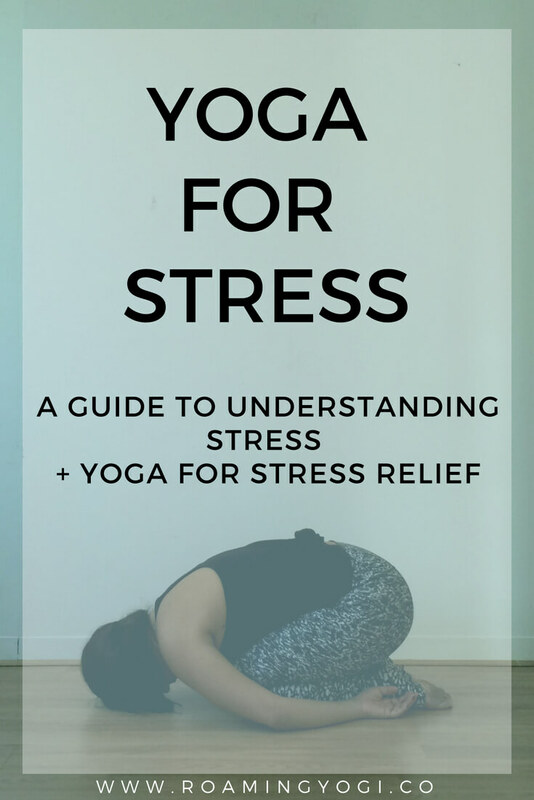 I’m sure you’ve guessed what I’m going to suggest – yoga and meditation are two of the best ways to combat the effects of stress. Move your body to use up the fight or flight adrenaline energy. This will reduce the amount of toxins building up in your muscles and helps burn out the immediate emotional reaction. 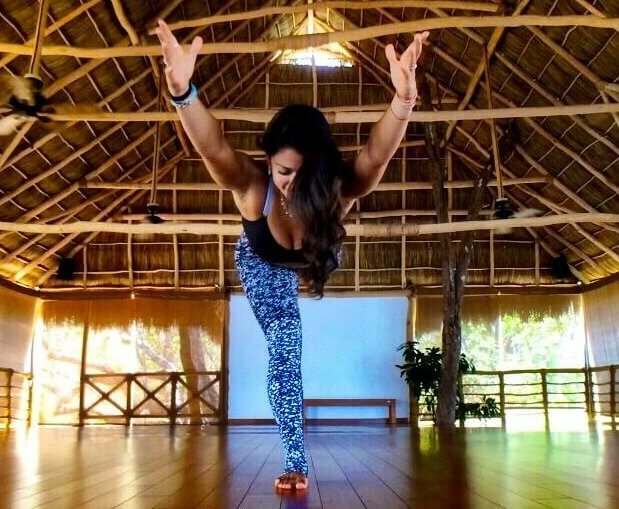 Poses that bring our heads below our hearts (standing forward fold, downward facing dog, headstand, etc.) allow blood to rush to the head, which facilitates in switching on the rest and digest response. Hip and shoulder openers are great options as well, as we tend to hold a lot of tension in our hips and shoulders. Other physical activities also release stress. Go for a walk, a run or a swim; play with your kids or your dog; do some gardening or housework; dance! Anything that gets your body moving! And of course, meditation. Any form of meditation is beneficial in reducing the effects of stress. Mindfulness meditation, in particular, is wonderful for minimizing the effects of stress in the moment. It also helps to increase your awareness of the things that bring you stress, as well as how you react to those stressors. Understanding is the key to change. When you understand your stressors and how you respond to them, you can actively employ calming tools when confronted with those stressors, and minimize the emergence of stress in the first place. The beautiful thing about the practice of yoga is that it is all-encompassing. A well-rounded practice consists of movement, breath, and meditation. This allows us to physically release pent-up tensions that are already present; to regulate the breath and the nervous system and bring ourselves into a state of calm; to understand the mind and prevent overwhelming stress in the future. Those ancient yogis were on to something! Little did they know that in 2018 we would be bombarded with more stimuli than we can handle, making us more stressed and anxious than ever. Luckily for us, they’ve been passing on their wisdom over the years and we have access to all these life-changing practices. A daily practice is key. Move your body for at least 10 minutes every day. Notice and work with your breath for at least three minutes every day. Sit in quiet contemplation for at least two minutes every day. That’s 15 minutes per day. That’s all it takes. 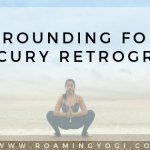 Do you currently have a yoga practice (or any other practice or hobby) that keeps you sane? Please share in the comments! I’m so happy you found this useful, Talya!